The festive season is on but unlike before, Sushil Aggarwal, owner of Ghaziabad, Uttar Pradesh-based Avon Modplast, a moulded plastic furniture manufacturing company has yet to see a jump in sales. Orders from rural and semi-urban parts of North India remain subdued. 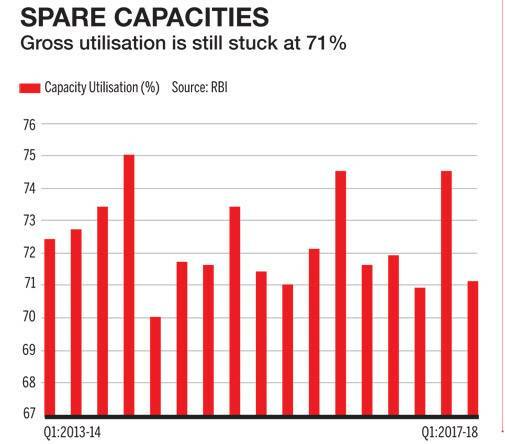 Capacity utilisation is hardly 40 per cent. "Consumers are confused, and sentiments are down", complains Aggarwal. Animesh Saxena, who runs Neetee Clothing, an apparel export unit in Gurugram, Haryana says the supply chain in the apparel and textile sector is in trouble with the introduction of the Goods and Services Tax (GST) regime. "Unless urgent measures are taken, a revival of textile exports seems very difficult," he warns. 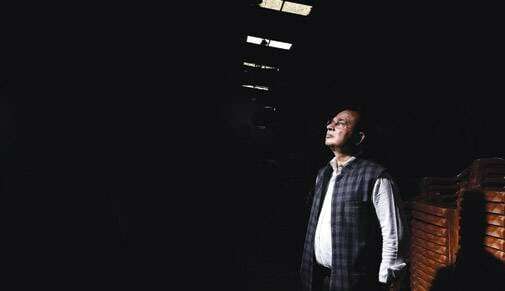 Sunil Harzai, of Noida-based Sidharth Exports, an established leather products manufacturer believes discriminative tax policies are turning the sector non-competitive. His sales are down 35 per cent and capacity utilisation 40 per cent. It was the macro-level impact of problems highlighted by the likes of Aggarwal, Saxena and Harzai - among the millions operating Small & Medium Enterprises or SMEs across the country - that was high on the agenda of the re-constituted Prime Minister's Economic Advisory Council (EAC) on 11 October and the 22nd meeting of the GST Council on October 6. With first quarter GDP growth figures at 5.7 per cent - the slowest in three years - fixing the economy was top priority for the government. The focus areas of the EAC, chaired by Niti Aayog member Bibek Debroy, include economic growth, job creation, informal sector, patterns of consumption and production, among others. It is focusing on critical interventions to accelerate economic growth and employment over the next few months, with greater social and financial inclusion, based on rigorous analysis. The GST Council meet focused on the problems of small units. Finance minister Arun Jaitley did not disappoint. The GST council eased the compliance burden on small and medium businesses and exporters through fewer tax filings, reduced rates on 27 items, talked about introducing an e-wallet system by April 1 for faster input credit, and deferring some provisions. 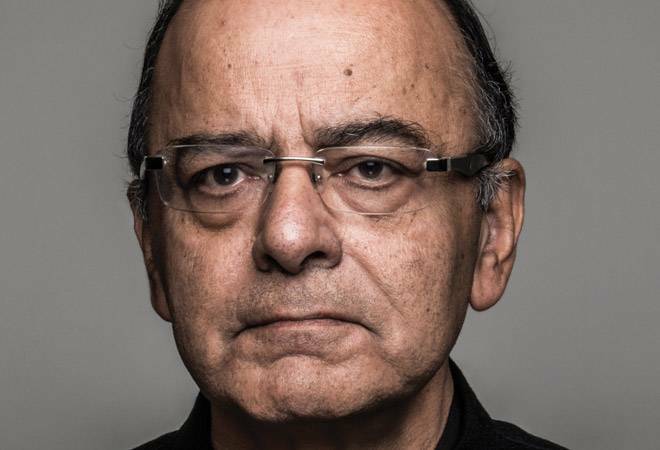 Jaitley was not just trying to fix problems faced by small businesses alone. He had a much bigger problem to fix - a slowing economy at a time when the global economy was showing some signs of growth. Earlier, on September 28, Jaitley got central public sector undertakings (PSUs) to commit an additional Rs 25,000 crore capital expenditure plan, over and above the Rs 3.85 lakh crore budgeted in 2017/18, to bolster economic growth. The task before the entire government and political leadership today is to fix the economic health of the economy and do that quickly. A Business Today survey indicates (see Rock Bottom) sentiments of the business community were never so low. It confirms observations made by the Reserve Bank of India's (RBI) industrial outlook survey which said there is waning optimism during July-September 2017 about demand conditions across parameters, especially on capacity utilisation, profit margins and employment. Many analysts, think tanks and research bodies have reduced India's growth outlook for the year. The Economic Survey forecasts GDP growth to at the lower emd of the 6.75 - 7.5 per cent band. The World Bank revised India estimates from 7.2 to 7 per cent; the RBI believes it will be 6.7 per cent and Morgan Stanley revised its forecast to 6.4 per cent from 7.6 per cent. Almost every rating agency and equity advisory firm tracking the Indian economy has made a downward correction of the country's 2017/18 growth projections. The most optimistic estimates now peg annual GDP growth to a tad below 7 per cent this fiscal. All major engines of economic growth - private investment, private consumption, exports, agriculture and even government expenditure - have either failed to pick up momentum or slowed down. In urban areas, construction and real estate - one of the biggest employment generators - has stalled. In rural areas, the 4.1 per cent agriculture and allied sectors growth in 2016/17 did not result in comparable improvement in farmer incomes. 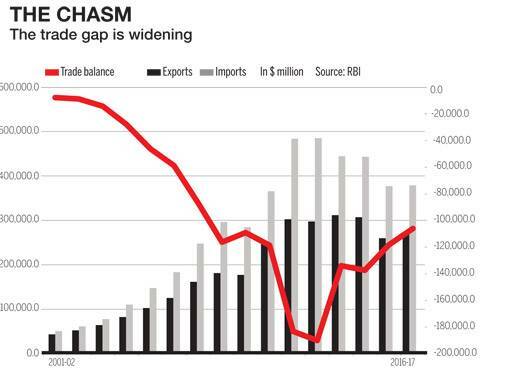 India's economic worries didn't begin today. PM Modi inherited a shaky economy that he couldn't mend in the last three years. Though economic growth looked up briefly for a year after he took charge, the slowdown started even before demonetisation happened. Even when Modi took charge in 2014, private investment, consumption and exports, were registering weak or negative growth. Private investment never picked up as there was excess capacity and many were laden with debt. The government's attempt to clean up the banking system by introducing bankruptcy laws only aggravated the short term crisis. Further, demand for products or rate of private consumption was very low resulting in idle capacities. Part of the rural slowdown had to do with tepid growth in agricultural income. Bad monsoon and low prices crippled the rural economy. In the organised sector, enough new jobs were not getting created, which led to subdued consumption. The third component of GDP, exports continued its slow growth for 18 months, before regaining growth, though at a slow pace. A monthly 10 per cent growth in August was more of an aberration than the norm. The Economic Survey, on August 11 had clearly flagged the declining trend in India's GDP growth. It points out that though India's GDP growth during the last two years was on an average 7.5 per cent, it was achieved against the context of weak investments, export volume and credit growth. Coupled with the troublesome signs was the disruption caused by real exchange rate appreciation, farm loan waivers, increasing stress to balance sheets in power, telecommunications, agricultural stress, and the transitional challenges from implementing the GST-all leading to an imminent slow down. Around the same time, the Monetary Policy Committee of the RBI highlighted the continuing retrenchment of capital formation in the economy. 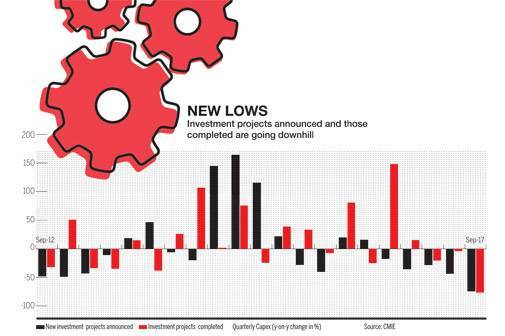 It stated that the weakness in the capex cycle was evident in the number of new investment announcements falling to a 12-year low in the April-June 2017 period, the lack of traction in the implementation of stalled projects, deceleration in the output of infrastructure goods, and the ongoing deleveraging in the corporate sector. All along, the Modi government has been trying to minimise the negative impact through additional government expenditure. It has front-loaded expenses in such a manner that, unless it slows down, or finds means for additional income over and above the budgeted projections, it may falter on its fiscal deficit targets. Since the government is yet to take a call on relaxing the fiscal deficit target, government spend has also begun to slow down, resulting in the slump in quarterly growth numbers. The twin disruptions, demonetisation and GST, augmented the already existing crisis. "You can forget about the next (second) quarter. You will be lucky to see improvement the quarter after. You have not seen the worst. 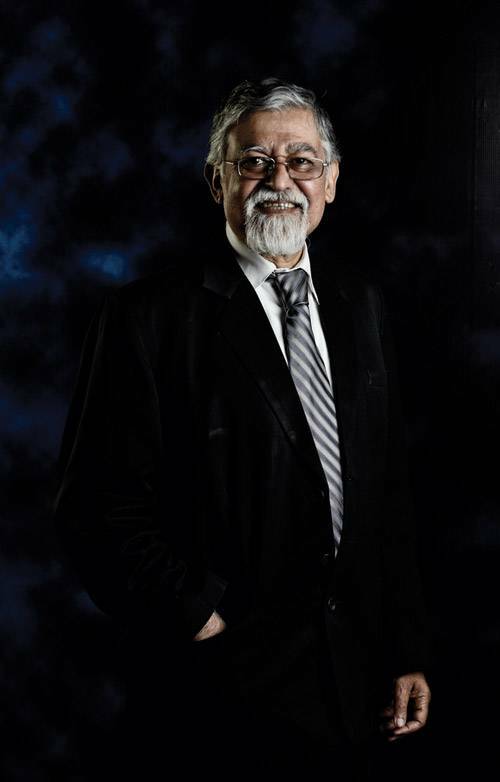 The economy will continue on its current trajectory", says Pronab Sen, former chief statistician of India. Why is it happening? What can the government do? Of the two prescriptions, one proposes a fiscal stimulus; essentially that the government spends more, irrespective of the size of the hole in its wallet. The other is identifying and tweaking policies dragging down growth. Since the EAC is not in favour of a fiscal stimulus, what remains now is to fix problems plaguing policies in sectors that contribute big to employment and growth - from textiles, to leather, to export promotion. Neetee Clothing's Saxena has reasons to fear the Modi government might have undone the good it did for the textile sector by announcing a special package some months ago, through the GST. The textile package - which included a 3 per cent additional duty drawback and support to encourage fresh recruitment by taking care of their provident fund payments - came as a boon to the industry which was struggling with competition from Bangladesh where productivity was high and wages low. The additional leeway helped the industry quote competitive prices to global franchises and retail chains for export orders. The results were beginning to show when GST happened. "The textile sector used to be largely a tax free industry. There was no VAT, and excise applied only on certain large companies. GST changed all that. 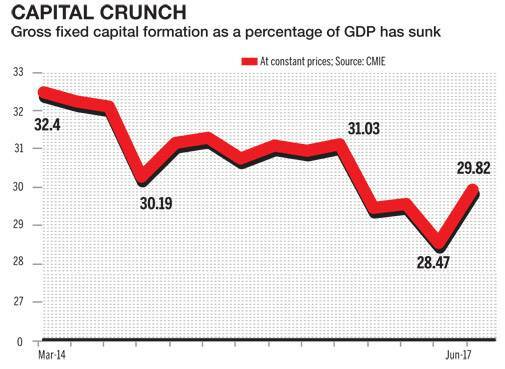 The immediate causality is our profitability," Saxena says. The implementation hurdles, in terms of confusing and often too frequent circulars and clarifications, and the increasing blockage of working capital due to pending refunds are only adding to their worries. The GST Council did take care of the working capital issues. But other issues remain. The problems faced by the industry will take more time to hit their production volumes. "We accept export orders after doing costing and price quotes six months in advance. Today we don't know what will be the drawback amount that we can expect. If we don't accept export orders, we are doomed. If we accept, we are losing money. That's the situation", Saxena says. Leather too has lost its growth momentum in the last three years for economical and political reasons. It depended heavily on the unorganised sector for raw material collection. Demonetisation hit the sector hard, as hide collection, up to the tannery level was entirely cash driven. The intolerance against people who deal with animal hide shown by fringe groups claiming allegiance to the ruling front was another reason. And GST was the hardest of all. Noida's Sunal Harzai says: "This is a labour intensive industry. There are close to 3 million people working in this trade. You are making leather product manufacturing uncompetitive by putting 18 per cent service tax on job work. On leather, tax used to be 2 percent, now it is 12 percent. On sole, tax rate has increased from 12 per cent, to 18 percent. MSMEs can never be competitive", he says. Harzai is not convinced with the government's promise of quick refunds. "When VAT system was introduced, there was a similar promise. Close to Rs 2 crore of my claim is stuck with the VAT department for four years. We are begging for our own money, but we are not getting it". He says the current business environment favours imports over domestic manufacturing. His fears are not entirely misplaced. Arvind Virmani, former chief economic advisor to finance ministry says that his analysis of the Indian economy since 2011/12 showed that disruption of domestic supply chains following demonetisation did result in a diversion of demand from domestic to foreign suppliers and a sharp jump in imports in first half of 2017. However, "as these supply chain disruptions are largely over, most of the import jump will be reversed in second half of 2017," he adds. Lack of demand is real in several sectors. The residential property market is unlikely to see a revival in the next 12 - 18 months, says CRISIL Research. Restrictions on cash transactions and the availability of cash was one of the reasons for the slowdown, but more than that, the implementation of the Real Estate Regulatory Authority (RERA) contributed to the weak demand, Tripathi says. The cement sector depends heavily on the growth of the construction sector. A downturn means lesser jobs which also mean less disposable money in the hands of skilled and unskilled workers, mostly migrants from India's rural and semi-urban areas. Less money explains the subdued demand and low sentiments prevailing in the rural markets of North India. Avon Modplast's Aggarwal say "We had a turnover of Rs 18 crore last year, this year we may only do about 10 crore, and I am not seeing an immediate change". "Demonetisation is the thing of the past. GST is not a major issue. But economic growth has gone down badly because GST has created a scare among people. They don't know whether they should buy at this time or not. The entire sentiment has gone down badly in the society. There is no off take", Aggarwal says. 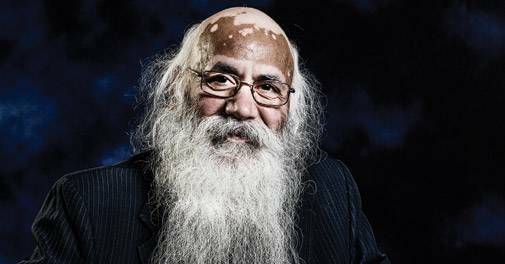 Arun Kumar, a professor in Jawaharlal Nehru University, New Delhi says the quarterly growth of 5.7 per cent does not capture the slowdown in the unorganised sector. "The unorganised sector data is not captured in quarterly GDP estimates. It comes with a time lag. Quarterly estimates basically capture organized sector growth", he says. "Organised sector employs only 7 per cent of the population. Demand is down because the sector that employs 93 per cent is in crisis. Because demand is down, capacity utilization is down, and because capacity utilisation is down, investment is down. That's why growth has come down". Even though there is no way to understand the impact of the unorganiSed sector, the sharp fall in the growth of Indian microfinance sector - which caters to such segments of the society - can be an indicator. Indian microfinance sector, which has been clocking an average growth rate of 36 per cent in recent years, registered a sharp dip in its growth to 18 per cent during 2016/17, says Bharat Microfinance Report 2017, brought out by Sa-Dhan, the association of community development finance institutions. It points to an increase in non-performing assets or bad loans among the microfinance sector during the period, thereby hinting at a reduction in the re-payment capacity of some of the 30 million clients (low income households and groups) it serve through 177 institutions operating in 563 districts of the country. There is ample proof of disillusionment in the big, organised sector too. Sanjiv Mehta, CEO and managing director of FMCG major Hindustan Unilever Ltd has acknowledged rural demand for its products has been weak. The lingering effects of demonetisation and the agrarian crisis have been cited as main reasons. Infrastructure behemoth L & T's group executive chairman A. M. Naik was also on record stating that debt problems are preventing fresh private sector investments in India. While the government has initiated a series of measures to resolve bad debt problems and speed up investment, they can temporarily slow down growth too. More than the transitional issues related to the implementation of GST (which is more of a problem of smaller players than big industry), it is the flip flops in policy announcements and contradictory positions taken by various arms of the government that are creating uncertainty among the large players. The automobile sector has been a frequent target of changes in taxation that has seen multiple tax slabs being introduced for cars depending on the size, engine specification over the last decade. At the same time, customs duty on vehicles have also gone up steadily making imported cars among the most expensive globally. The hope that a unified GST would bring consistency was betrayed when a 10 per cent hike in cess that made bigger vehicles expensive, was levied two months of the introduction of the tax in the first place. In June, the industry had cut ex-showroom prices ahead of GST rollout by as much as Rs 10 lakh (for the Mercedes-Benz S-Class) and are now crying hollow over hiked cess to 25 per cent from the earlier 15 per cent. "The luxury car industry in India, while small in volume, still contributes over 10 per cent in value. Taxes were already very high and we expected the unfulfilled potential of this segment to increase after GST implementation and rationalisation of taxes. However, increasing the cess on luxury cars will dampen the spirits of not only the companies, dealers and customers but also workers and employees working in this industry. We will be forced to re-evaluate our business plans in light of this development," said Rahil Ansari, Head Audi India. 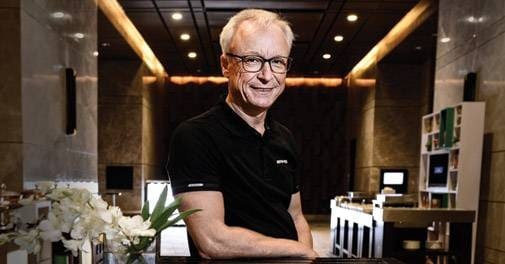 Roland Folger, MD & CEO, Mercedes' Benz India, has faced more surprises in his two years in India than in his two decade career in the automotive industry. "First we battled the diesel ban in the National Capital Region-Delhi market despite confirming to all regulations, then the demonetisation which was followed by a total stop on BS-III vehicles beyond March 31 this year. Just when we were settling from the GST shockers, the luxury car market has been surprised with the highest rate that will only decelerate the market further," says Folger, who is also the largest investor in the luxury car space with over `2000 crore lined up in the country. Fed up with the countrys flip-flop auto policy, many carmakers are redrawing their plans for India. Many see negative future projections in the current uncertain scenario. Already, General Motors has withdrawn from the Indian market, while Volkswagen AG, Europe's largest carmaker has put on hold its future investments and expansion plans for all its brands - Lamborghini, Audi, Volkswagen & Skoda -citing inconsistent policy. The series of flip-flops have been coming from successive governments for the auto industry, which contributes a little over 7 per cent to the GDP, and is viewed as a cash cow for taxes. A spate of regulatory changes and fluctuations on motor vehicle cess has adversely affected the stability and growth of the automotive industry in India which is expected to emerge as the second largest car market after China, targeting production of 13 million cars from the current 3.6 million and 55 million two wheeler from the current 20 million. The slowdown is real, but so are signs of revival. The automobile sector illustrates it best. Data released by the Society of Indian Automobile Manufacturers indicates all round growth in automobile sales in September. Passenger vehicle sales grew 9.16 per cent in April-September 2017 over the same period last year; commercial vehicles 5.96 per cent, and two wheelers 10.14 per cent. The Nikkei India Services Purchasing Managers Index or PMI rose to 50.7 in September from Augusts 47.5. "The Indian private sector regained some lost ground since the implementation of Julys GST as service providers followed the manufacturing industry back to growth," Aashna Dodhia, an economist at IHS Markit, which compiles the survey, said. "The service sector registered slight expansions in output and new orders." Earlier, the PMI, showed that the monthly index remained unchanged at 51.2 for two consecutive months since August. A reading above 50 indicates economic expansion, one below 50 points toward contraction. Inflation rates, an indication of consumer spend and demand uptake has also shown an increase, a growth of 3.36 per cent in August. "The decline in GDP growth has bottomed out. I am expecting a recovery from the second quarter", says N R Bhanumurthy, professor, National Institute of Public Finance and Policy (NIPFP). He predicts 7 per cent plus GDP growth in the next three quarters. A Morgan Stanley report suggests that the Indian economy will enter into a period where both domestic and external demand is recovering and supportive of growth - which had not been the case in the previous four years. "In our view, India is moving on to the next phase of the business cycle of productive growth - a phase marked by further improvement in growth while macro stability remains in check. This will also set the stage for a sustained growth cycle". The advisory firm finds India's millennial population to be a huge disruptive force and say that, with friendly government policy, the economy could touch $ 5 trillion, from the current $ 2.25 trillion, by 2025. A senior industry representative who did not wish to be identified said the government and the RBI should stop worrying about inflation and the fiscal deficit. "Should we be worried about inflation? Today RBI says my dharma is inflation targeting. Why? Just because inflation is low in the West, why should it be in my country? It is a developing country. There is a tradeoff between employment and inflation. If inflation is 5 per cent the heavens will not fall. But you have to do it in a way to say that I have other objectives. Similarly, why commit yourself to 3.5 per cent fiscal deficit? Credit rating agencies are political. Go to Americans and say S&P, Moodys are yours. I am also your friend, so just call up S&P and ask to shut up. Let jobs be created, economy rebound".